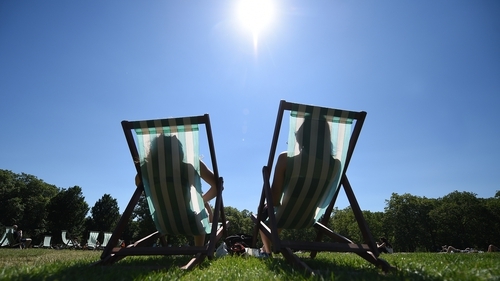 The summer of 2018's credentials as one of the hottest, sunniest and driest in decades have been confirmed. New data shows the highest average temperature in 23 years was recorded in some locations, including Oak Park in Carlow where it reached 16.8C, the highest since 1995. The Met Éireann information also confirms that Shannon Airport recorded the highest daily air temperature since 1946, with the mercury tipping 32C on 28 June. According to meteorologists those heatwaves continued into early July in some locations. However, the northern part of the country was cooler than the rest, the data shows, and August was the coolest month of the three. Lowest average seasonal temperatures were in Malin Head in Donegal, where the mean temperature was 14.3C. The data also confirms that it was an exceptionally dry summer. Absolute drought conditions prevailed from late June until mid-July at stations across the east, midlands, west and south, with a partial drought in the south from early June to late July. Finner, Co Donegal was the only place in the country where the rainfall total was not below average across the season. Cork Airport had its driest summer since 1962, while Dublin's Phoenix Park saw just 38% of the average seasonal rainfall. The Phoenix Park station, as well as the Casement Aerodrome station, recorded just 29 days where rain fell. All stations had above average sunshine. That average was dragged upwards by June and July, as August had below average sunshine in all weather station locations. Johnstown Castle in Wexford was the sunniest place during the summer, with 693.5 hours recorded, while Knock in Co Mayo had the least sight of the sun at 409 hours. The data for August alone shows it was cooler and wetter in the north and west, but warmer and drier in the south and east. Rainfall was lowest in Oak Park, Co Carlow, which recorded its driest August since 2011. On the flipside, Newport in Co Mayo received more rain in August this year than it has during the same month over the past seven years. Valentia Observatory in Kerry had its dullest August since 1990 with just 82.9 hours of sunshine.